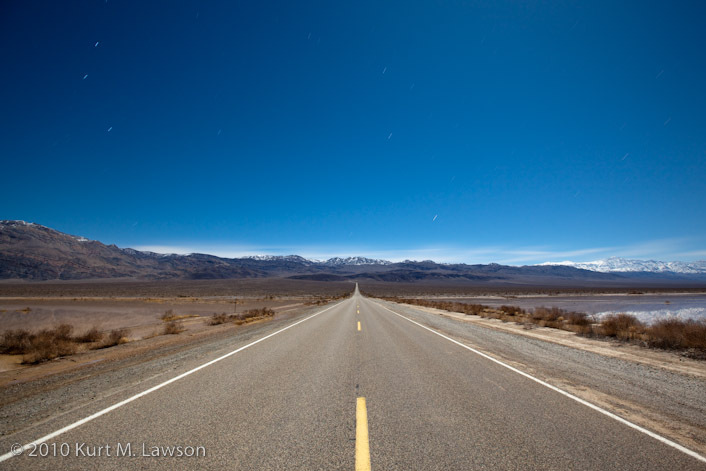 The last few images I have from Death Valley this January are some pictures by full moonlight. 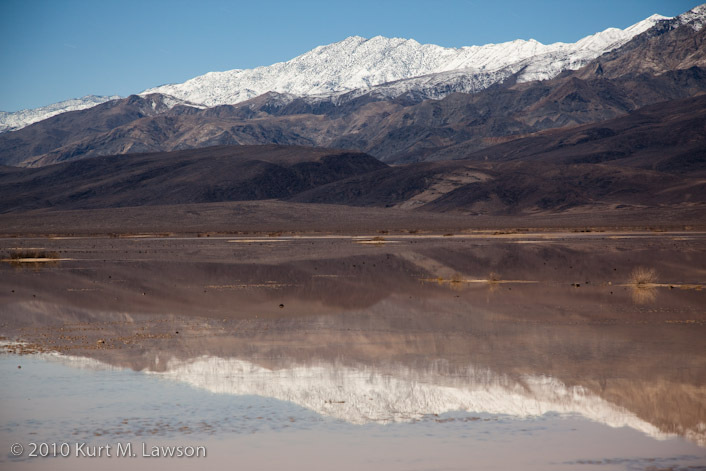 The first few were taken in Panamint Valley where I stopped on my way to check out the large amount of water that had gathered there from recent rains. Here at about 10:30 or so at night there was not a single sound to be heard except for the occasional car. When a car did come by, either via route 178 or 190 I could hear it approaching from miles and miles away. In fact the sound of a car here at this spot sounded strange as it echoed in the desolate valley around me. When no cars were around I relished the silence as not even a plane could be heard or seen overhead. Here we see the view from the middle of 190 looking towards Towne Pass. I picked up a similar view of these peaks on my way out of the park in the afternoon light. 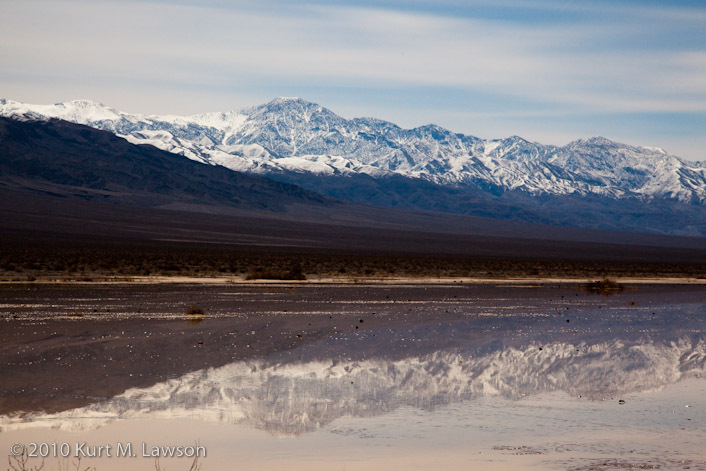 These next few pictures were taken at Badwater Basin from the road. Badwater is the lowest place in North America at 282 feet below sea level. I was scouting to see if I could see water for a return trip in the morning. I was quite tired and did not want to hike out a mile into the basin to see so I took a few captures from the side of the road to see what could be seen. I concluded that there wasn’t much of any water if any (contrary to expectations). Upon looking at the full 21mp pictures however, I can see what might be water in one of the pictures, but alas we never hiked out there to be sure. Finally, a recent trip back into the Death Valley archives yielded this picture, which I like quite a lot and somehow did not choose before. This is from the Mesquite Dunes. The thick haze was from a sandstorm that was raging on the western end of the dunes. Fortunately where we were the wind was much more calm. © 2012 Kurt M Lawson Photography. Kurt Lawson is a participant in the Amazon Services LLC Associates Program, an affiliate advertising program designed to provide a means for sites to earn advertising fees by advertising and linking to amazon.com.|ProPhoto Photo Theme by NetRivet, Inc.